Last week Latter-day Saints in Utah watched the dedication of the 139th Temple in Brigham City, UT. The building of temples is one of the most distinctive features of the Restoration. The sacred ordinances preformed within the walls of temples are also unique to the Latter-day Saints today. While living members do go to temple for their own endowments and sealings, the vast majority of the work preformed in temples is on behalf of the dead – yet another aspect of temples that sets Latter-day Saints apart. While ordinances, such as baptism, preformed for the dead has ruffled some feathers of late, such practices are connected to a doctrine of post-mortem salvation that is beautifully inspired. It is about extending the mercy and compassion of God to those who are otherwise unable to access it; people whom some other Christians would consign to hell for no other reason than the fact that the news of Christ was unavailable to them in life. The acts are done out of love and concern for those who have passed on. No one is trying to steal souls or hold their heritage hostage, as such rituals have been popularly caricaturized in the media over the last six months or so. I just recently finished reading a series of articles by David Paulsen, professor emeritus of philosophy at BYU, and a revolving cast of undergraduate co-authors. In these four articles, Paulsen et al. review the doctrine of salvation for the dead in both ancient Christianity and the restoration in the Latter-days. I thought now would be a good time to share those with others, both in light of the new temple and the recent controversy ordinances for the dead have caused. 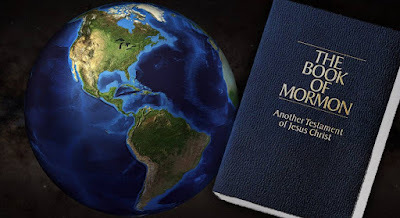 I hope that people will take the time to read these and better understand the meaning, the purpose, and the history of the doctrines and practices connected with the salvation for the dead. David L. Paulsen, Roger D. Cook, and Kendel J. Christensen, “TheHarrowing of Hell: Salvation for the Dead in Early Christianity,” Journal of Book of Mormon and Other Restoration Scripture 19/1 (2010): 56-77. David L. Paulsen and Brock M. Mason, “Baptism for the Dead in Early Christianity,” Journal of Book of Mormon and Other Restoration Scripture 19/2 (2010): 22-49. David L. Paulsen, Kendel J. Christensen, and Martin Pulido, “Redeeming the Dead: Tender Mercies, Turning of Hearts, and Restoration of Authority,” Journal of Book of Mormon and Other Restoration Scripture 20/1 (2011): 28-51. David L. Paulsen, Kendel J. Christensen, Martin Pulido, and Judson Burton, “Redemption of the Dead: Continuing Revelation after JosephSmith,” Journal of Book of Mormon and Other Restoration Scripture 20/2 (2011): 52-69.